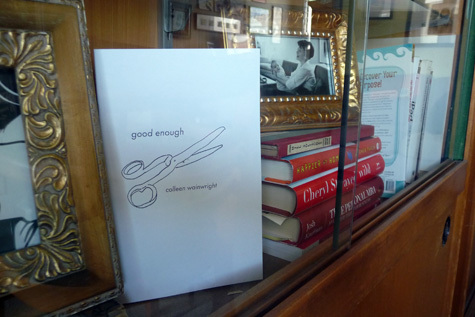 GOOD ENOUGH is a chapbook by Colleen Wainwright, written and published in the fall of 2013. Hard copies were made in an extremely limited run of 52 numbered copies, and are sold out. A digital version is in the works. If you'd like to know when that happens and don't want to keep checking here, shoot me an email: my first name, at the name of this website.